Call 575-386-5030 to schedule your first appointment. If you require hearing aids in Hobbs, NM, then consider your local Miracle-Ear® hearing aid center. We’re a proud member of a national brand that has more than 1300 locations throughout the country, but our location is locally owned and operated. That gives you the best of both worlds: hometown care and access to maintenance and repair options wherever you are. Miracle-Ear is America’s most recognized brand of hearing aids, and our location prides itself on upholding that tradition. We’ll provide you with a fee hearing test* at no cost or obligation, and our customers come to use from throughout Hobbs and the neighboring communities. If you purchase a hearing aid from our location, that purchase will include an extended warranty and free aftercare services. Aftercare includes refitting, programming adjustments, and battery replacements. Call us today to schedule an appointment. Born and raised in Corpus Christi, Texas, Wesley began his career as a hearing aid specialist in El Paso, Texas in 1987 after completing service in the U.S. Army. Soon after his career began, he moved to San Antonio, TX to work with some of the top hearing instrument specialists in south-central Texas. In 1991 he relocated to Roswell, New Mexico to open Miracle-Ear Hearing Center in its current location. That year he also earned the important designation BC-HIS (Board Certified Hearing Instrument Specialist). This achievement represented his desire to excel beyond the normal requirements for operating a hearing instrument practice. The credential is earned by completing and passing a highly specialized National Competency Exam which is based on practical knowledge of hearing aid dispensing and decision-making capability. The designation requires recertification every three years with proof of qualifying continuing education. The following year, Wesley earned the coveted credential ACA (Audioprosthologist) from the American Conference of Audioprosthology. The ACA program is an upper division undergraduate course specifically designed for hearing instrument dispensers with emphasis on Speech Pathology and Audiology. It is the highest designation a hearing aid dispenser can obtain. It indicates his advanced qualification to assess the type and magnitude of hearing impairment; analyze and select hearing aids with appropriate electroacoustic properties and manage the professional, technical and business aspects of the hearing aid field. 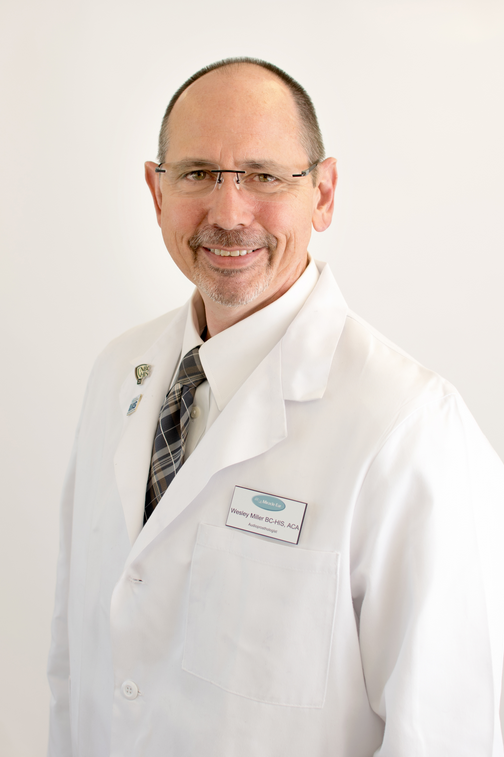 Over the years, Wesley expanded his practice to encompass all of Southeastern New Mexico including Roswell, Hobbs, Carlsbad, Artesia, Portales and Clovis. He has trained several other hearing instrument specialists in those areas to carry on his commitment to obtaining the latest knowledge and providing exceptional service. They work closely with Family Practice Physicians and Ear Nose and Throat Specialists as well as Audiologists to ensure the best care possible for their patients. Each community served by Wesley and his staff recognize them as trusted members of the hearing health community. Wesley maintains a license to fit and dispense hearing instruments in the states of Texas and New Mexico. He has always believed in the importance of giving back to the communities that have allowed him to become a successful practitioner. He continues to serve on various important civic committees offering his insight and judgment to important causes in West Texas and Southern New Mexico. Kelli McDaniel-Miller heard her calling to serve early in life. She began her career studying to be a nurse but eventually moved into funeral service specializing in grief counseling. Her loving compassion was well suited to that line of work and is still obvious to all who meet her. In 2006 she married Wesley (he is still amazed at this) and agreed to come on board and work at Miracle-Ear Hearing Centers. Kelli's desire to help others continues at Miracle-Ear. She works daily to improve the professional hearing care and customer service the company provides to our patients. 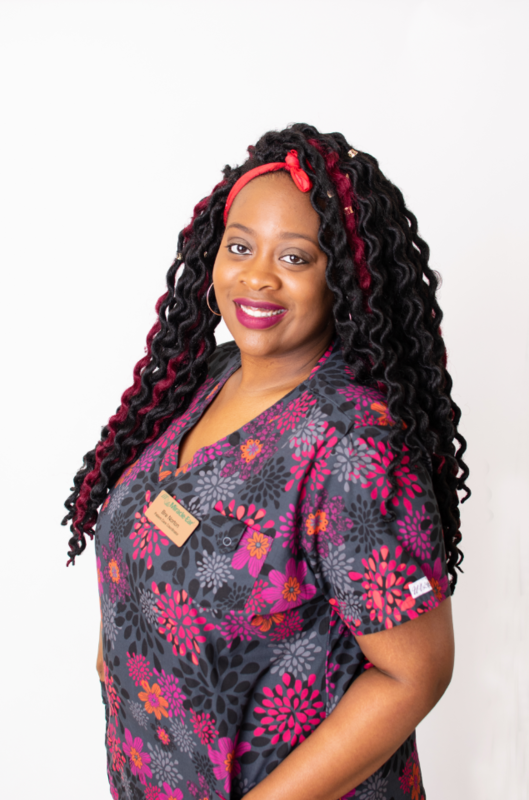 In addition to her management duties, Kelli has taken on the operational responsibilities working with vendors and suppliers. She also keeps the company financial records. Kelli was blessed with four wonderful children who are now grown and enjoy careers in various fields. Each would tell you that the most important thing they learned from their mother is a strong duty to serve and love all mankind with whatever strengths God gave them. If you ever want to see a beam of sunshine in a person's eyes, just ask Kelli about her granddaughter. I have found the Miracle-Ear products and service exceptional. At home I can hear the TV and telephone so well now. I think the purchase was well worth the money. I can noticed sound changes around my house and feel safer now. Miracle-Ear hearing aids have made a huge difference in my life. They have enhanced sounds that I have not heard in a very long time. I can have conversations with no difficulty at all. I enjoy hearing the different tones in people's voices. Before, I could not make out the differences. My job and my life are much easier now. My two sons insisted I needed a hearing aid. After checking several places, we decided to try Miracle-Ear. It's been two months and I am very satisfied with my hearing. The staff has been very helpful with appointments as I live in another town. I would recommend Miracle-Ear.